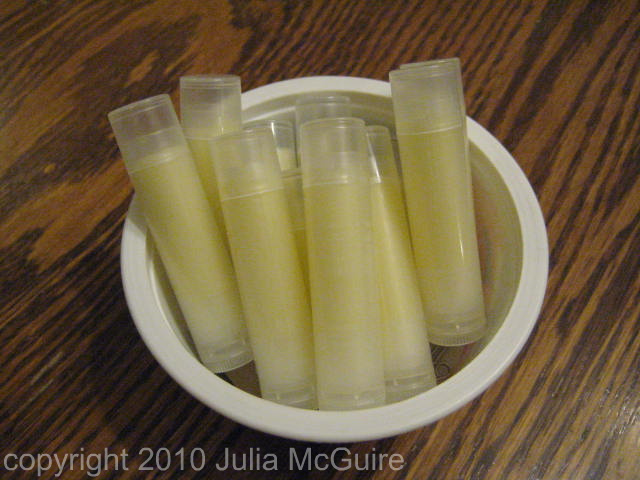 Today, my youngest child and I made lip balm. I’m embarrassed to say that an acquaintance sent me the recipe one week short of three years ago today. Call me slow. I was spurred today by my sister-in-law, who asked if I wanted to order some lip balm tubes. Containers were holding me back from making my own lip balm all this time. Sounds lame, I know, but containers were a dilemma for me. Once I got the empty lip balm tubes, I used Kristie’s recipe, found in her Herbs for Kids e-book (look for the Second Grade Curriculum, I think). Making lip balm took about 20 minutes from start to finish. Now that we’ve done it before, I think we’ll take half that time in the future. 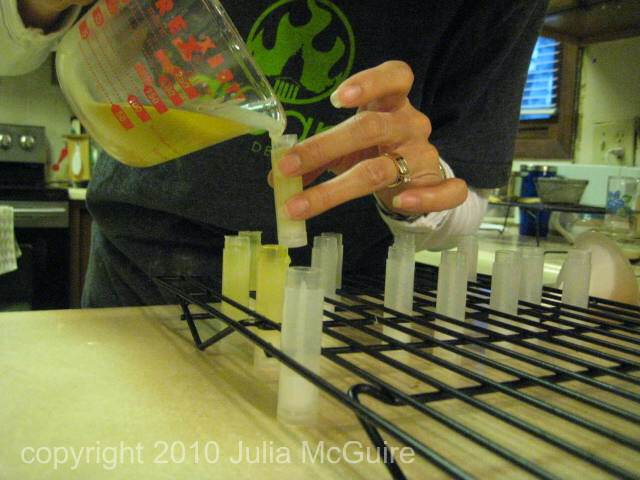 Making lip balm was a little messy, but very manageable to clean up. 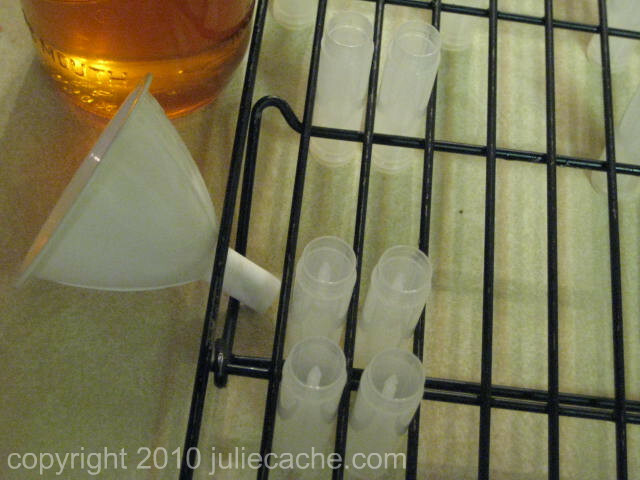 We set up our empty tubes between the wires of an icing rack/cooling rack. We began pouring with a funnel, but got rid of it quick. It slowed down progress a lot. This entry was posted in photography and tagged beekeeping, beeswax, lip balm. Bookmark the permalink. After crazy facebook chatter: Successfully tested for three days, our lip balm is now selling for $1.50. Send me email for more information.